All types of animal jewelry is popular with collectors and jewelry lovers alike. 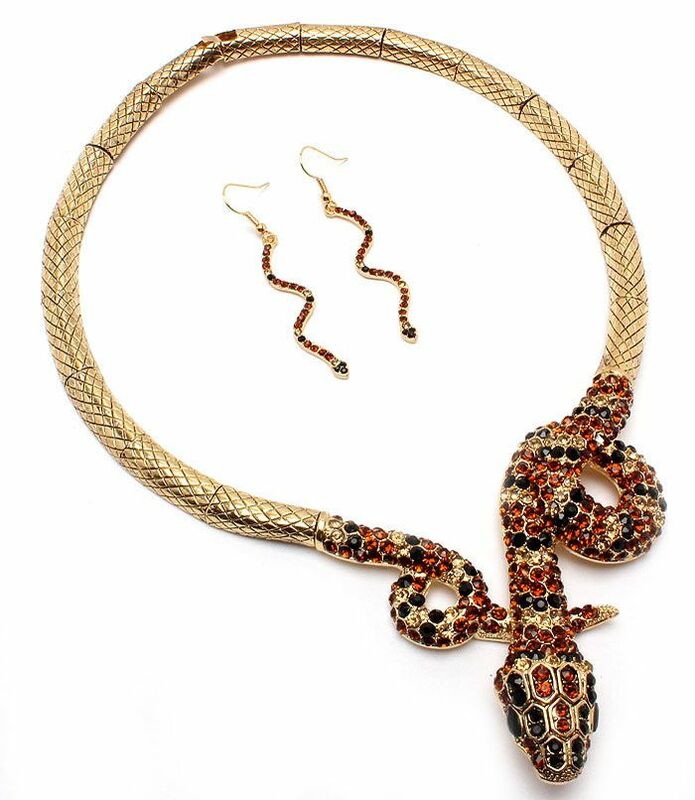 But one type which seems to always get a lot of attention is snake jewelry and other forms of reptile jewelry. I have just listed some new snake choker necklaces in my Ruby Plaza shop, so I thought I would have a look to see what other reptilian styles I have in stock for those of you who love this type of design. This choker is just gorgeous. It comes in both clear rhinestones and also the style with brown stones shown here. The necklace has a pair of slim line snake earrings to finish the look. It is available for $40 from my Ruby Plaza shop Jewelry Lane. Here are a few more reptilian designs. Perhaps one is just right for you. 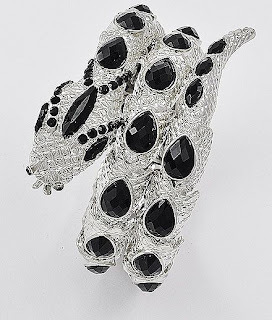 Black and Clear Rhinestone Snake bracelet - $20 from Jewelry Lane. 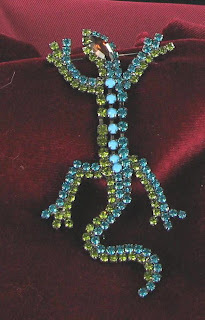 Cute Lizard rhinestone brooch - also $20 at Jewelry Lane.